I'm back with another review and giveaway. This one is for my self-tanners out there. I had a chance to review the SunLabs Ultra Dark Self Tanning Kit. I was pleasantly surprised at how great it worked for me and I'm also giving you a chance to win! I'll say that I had a pretty good experience with this kit. I've used it for several weeks and it's performed really well. This is a great option for those of us who want a bronze, healthy tan without the damaging effects of the sun. Would I Recommend: Yes. This is the best self-tanner I used so far. The price is reasonable for the entire kit. My drugstore tanners cost around the same and they're not as good. If you're a regular self-tanner I think this is a good choice. This great kit is on sale for $49.95 (normally $85.95)!!!! Use promo code FRSH2010 to purchase the Beach Bag Ultra Dark. Not only will you get the discounted price but you'll also get free shipping because you watched me review the product! SunLabs has generously agreed to sponsor an UltraDark Self-Tanning Kit for one of my viewers. Here's how to win! i would LOVE this because i agree, i get more yellow. sometimes when i tan too much in the sun, i tan dirty. like it looks like my skin is dirty but it's actually my tan. so i think this would be awesome to try. My dad had skin cancer over 25 yrs ago & my mom has been battling it for the past 3 years. I just can't get a tan....it would be foolish of me to chance it. I'd like to win so I could finally have some color & not look like Casper anymore! Thx Sun Labs & Ren! I would love to win this kit because I really need it for myself so hope I win & laterz. ! Id love to win because ive seen many of my favorite youtubers review it and Id love to try it!!! I have been tanning for about 7 years now in indoor tanning beds. Just recently my friend got diagnosed with skin cancer. I live in the south and everybody tans, so I like to look tan too but I don't want to get wrinkles or skin cancer. This is a good opportunity to try a higher end version. 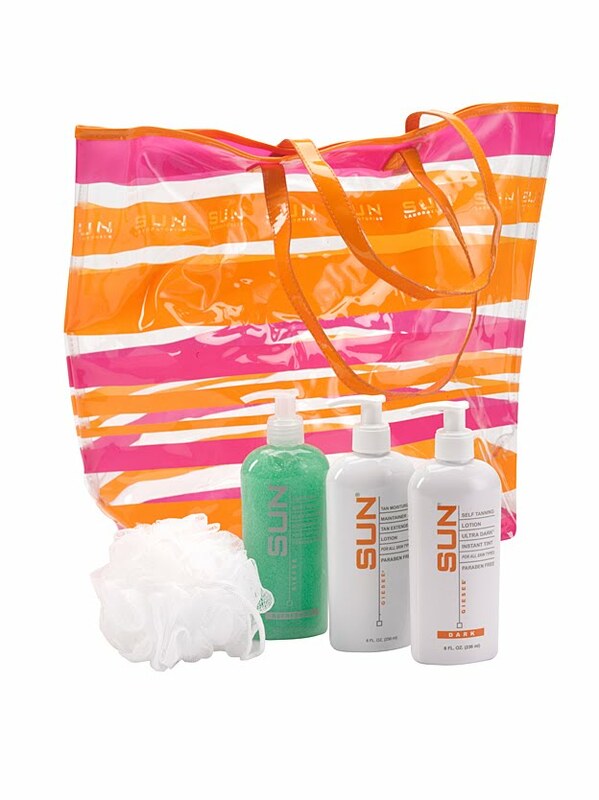 i woulds love to win this because i can never tan i always burn in the sun.i never am able to get a summer glow. I would love to try this because I recently decided no more sun or tanning beds for me, i don't want to get skin cancer! The few self tanners I tried I hated! Trying this product is something I've wanted to do since I seen the first review. Ordering things online isn't easy for me. Winner this product would be great for me as I'm very pale and use to Tan at the salon alot but I've stopped that. I've tried the spay tan but to be honest I hate it. Winning this would be great. I would love to win because I live in Arizona and have to slather myself in sunblock daily. Hence, Pale Porcelain Princess, lol. The Valley of the Sun and can't tan! I just burn to a crisp, so self tanners are awesome! I would like to win this product, but not the ultra dark, just dark would be fine! One of my friends always makes fun of me saying how pale and dead I look >;( If I tan I just get sunburn and start peeling. That then just leaves me with white and brown spots blehh I would lovee to get a real tan! I will admit - I am ADDICTED to tanning. I love tanning but I know it's SO bad for my skin... therefore, I'd love to try this out and see if this would be a good alternative! Most self-tanners look orange to me and doesn't last long so I'm still on the look for one. i would love to try this product, because i have heard so many great things about it from youtube gurus. I've always wanted to be tanned, but avoid tanning beds cause of the risk of skin cancer. I have tried drug store tanners, but they do not seem to work :(. I would like to win this because I like to be tan, but I know that I shouldnt go tanning anymore because it is so bad for my skin. Also, I have never tried a sunless tanner that didn't look orange (which is why I go tanning). I'd like to win because i've never used self tanners before and i would love to try this one out. Im a subbie of your YT and Blogger and I would love to win! I would like to win this because I really wanted to try this product out. my legs are definitely lighter than my arms and face. I wanted to share this product with my best friend as well, she is really pale, and she always wanted to tan and see what she would look like with a tan. I would love to win this kit because I didn't have the chance to go to the beach this year and I look pale and because this looks pretty cool.. I've heard so many good things about it and I want to try it!! I would love to win this giveaway because I have never used any tanning products. This will be my first and I would love to try these products out. Great video and keep it up!!! Hey girl, thanks for another GREAT review and generous giveaway! Enter me please! I follow your blog as VIctoria and your channel as invictoria. I'd love to win because I'm very very pale (as snow!! haha) and after this review, I need to try it! Enter me please! Following as fisiwoman. I'd like to win because I need to get a tanned skin! I would love to win this! The weather is always nice when I'm stuck at work, and it seams to always rain on weekends. It would be nice to look like I've spent time in the sun. Thanks for doing a giveaway! I have been on this HUGE mission to find the perfect self tanner! I have tried everything! I would love to win this because it has gotten great reviews and I'm hoping it would end my journey for the perfect self tanner! I would love to win because I usually get so pail during the winter period that people think I'm ill.. I would love to win this product if it will make my skin look anything like yours. I have to apply tinted moisturizers to my neck and face to make it match up the rest of my body and not look like I photoshopped my own head on me, LOL. It would be great if I could maintain a tan easier this fall! I would like to win this, because I have a very light skin and it's very hard for me to get a tan. I would like to win this so I can get darker, right now I look like a white ghost and I am in TX yeah, I could really use it cause right now this is not a good look for me :) you look great btw! i used to go tanning..but same as you..I figured it would just be hazardous more than being beneficial. I've been looking for a great self-tanner for quite a while and I would love to try this. I'd love to win so I can try out this product :) and it's coming into Spring here in Australia so the legs have to come out soon. I'd love to win because my pale legs never match my upper body. -Following your blog & subscribed to your channel "Deanna6"
I would LOVEEEE to win this product because i am a melanoma surviver and am very cautious about going out in the sun. Therefor i am very pale and would be very grateful to win this product so i dont have to look like a ghost anymore. Thanks again for hosting this giveaway and i hope you pick me! Hi! I am your new follower via GFC (Elena) and on YouTube (ElenaGRudaya). Thanks for the great giveaway! I would like to win because I am addicted to tanned skin) I love how it looks and feels.. So I go to the beach almost everyday in summer. Now I am tanned perfectly but after a long-long winter I usually get really pale.. I think this is awesome product to try! I'd love to try this. I haven't used a self tanner in awhile so I'm pale. All the tanners I used left me blotchy it's gross. Your review was really good and believable and I want to try it badly!